So which should come first, the divorce or the bankruptcy? And how might asset distribution in divorce affect or be affected by the disclosure of assets in an estate headed for bankruptcy? What will happen to real estate (including the marital home, investment real estate and family cabins), boats, jewelry, collectibles, stocks and bonds, bank accounts and household goods? in the divorce, and in the bankruptcy? There is no pat answer or cookie cutter solution when it comes to coordination of divorce and bankruptcy. This is a difficult legal situation that requires detailed analysis and by a well-qualified bankruptcy lawyer and family law attorney. The challenges can be compounded more if one spouse does not wish to cooperate with divorce preparations or bankruptcy discussions. If the two of you file bankruptcy together (one filing), it will be cheaper than if you divorce and then file bankruptcy separately (two filings). Child support obligations will not be wiped out in bankruptcy, no matter how you time the bankruptcy and divorce. If debts are not included in a bankruptcy, creditors can hold both spouses liable for those debts, regardless of what the divorce decree says. Therefore, it is essential to list and consider all debts before declaring bankruptcy. Filing bankruptcy during divorce can be a complex legal situation. Taximplications must be carefully considered. Bankruptcy attorneys and staff at Scura, Wigfield, Heyer & Stevens, LLP, believe that our clients' interests and concerns come first. 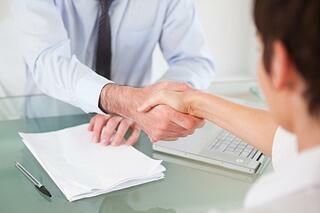 We invite you to contact one of our lawyers today for a free initial consultation. We have offices in Wayne and Hoboken for your convenience.